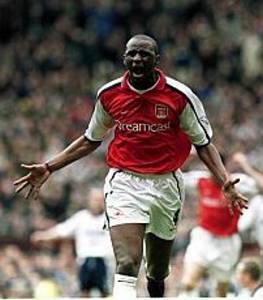 Ok, so he won’t be the player he was five season ago, but at the moment Arsenal are desperate for a bit of experience and maturity and Patrick Vieira is the man. I do think we have a great collection of young central midfielders (Song, Ramsay, Diaby etc) and like Wenger I hope/think one of them will blossom this season, hopefully under Patrick’s tutelage. Maybe this is his first step into Ms Wenger’s shoes? Mind you they said that about Tony Adams. Seriously would love to see him back, but Wenger better be damn sure that one of his young charges steps up this year. Viera FFS! Who next? Frank McClintock?? Thought you were a Leeds Utd fan ?